Looking for the best garden fertilizer to grow a healthy backyard vegetable garden? 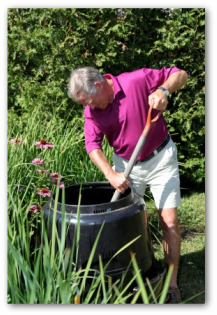 Learn about using compost, aged-manure, and other organic fertilizer to keep your garden happy and healthy. Also, learn how to choose the best fertilizer for a container garden. Adding the right fertilizer to your garden plot can be a great help in creating a happy healthy garden. 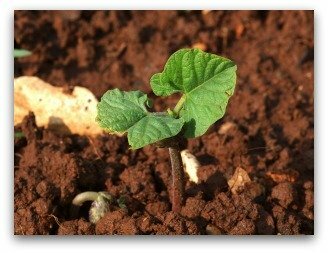 The most important step when growing a garden is to know what your soil is made of. Testing the soil is offered through local Agricultural Extension offices. Make good use of this free service and discover exactly what garden fertilizer and conditioners your soil needs. Using organic fertilizers is more beneficial to your plants, the environment, and you. A detailed soil report from the County Extension office determines if the soil lacks major nutrients such as nitrogen, potassium, and phosphorous. An organic fertilizer of rock phosphate, bat guano, and wood ash or green-sand usually provides your soil with its necessary nourishment. 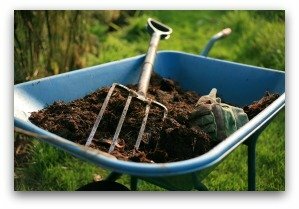 No matter which kind of soil you are planting in, it is to your advantage to add organic matter in the form of compost. This helps to condition your soil, as well as adding nutrients. Compost can either be store-bought or homemade. 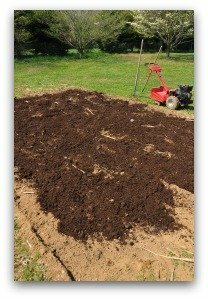 Visit a garden center or nearby farm to load up on well-aged manure to fertilize your vegetable garden. 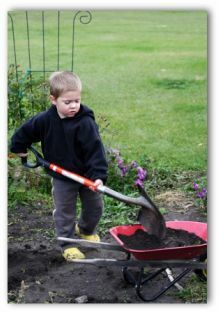 Mix the fertilizer into the soil using a rototiller, spade, or rake. Your garden will repay your efforts with extra-healthy and productive vegetable plants. The best mixture for compost is 20:1 carbon to nitrogen. For instance, dried plant materials contain more carbon than nitrogen. Vegetable waste such as kitchen scraps are around 12:1. Newspaper for example has an 800:1 ratio. Fresh leaves are 30:1 and dry leaves are 50:1. Alfalfa, clovers, and comfrey make excellent plantings for green manures, which aids in building and sustaining fertile soil over time. Cover crops called as green manures are harvested for the compost heap or left in the garden to be worked into the soil. You want balance in your soil. If it is top-heavy with clay, adding organic matter will help. If possible, add sand as well. If it is too sandy, again organic matter such as compost helps in balancing the soil. Traditional tilling makes the soil work harder because it damages beneficial microbes and fungi living in the soil. Tillers do mix soil amendments efficiently making quick work of aerating the soil. For large garden areas, it may be necessary for you to till the land. If you can do without using a shovel or tiller, the healthier soil will repay in kind. 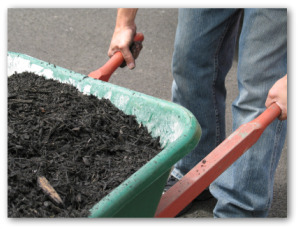 Put down six inches of grass clippings, food scraps, worm castings, and manure. 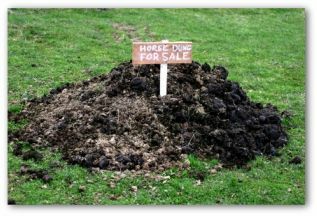 Horse manure warms the soil quickly in the early spring. Cover this with layers of newspaper or a layer of cardboard. Make sure to get the materials wet. Finish with a six-inch layer of mulch, made of high-in-nitrogen material like dry leaves, straw, and wood chips. You may plant immediately or let the bed sit for several weeks. The lasagna gardening method works well with any organic materials except animal fat, meat, or bone. On top of your wet bottom layer, add a layer of peat moss, then a layer of organic material like manure, compost, or leaves, then another couple of inches of peat moss. The more diverse materials used the better. Between the layers, throw in kitchen scraps and fertilizers. Later peel the layers back and add more. Continue doing this until reaching a height of 18 inches or over. Once you have built the bed up with organic fertilizer, let the organisms living in the soil do the rest. Look into fungal and microbial additives to jump start healthy soil processes. These fungus and bacteria strains have been shown to help plant-roots absorb nutrients and find water. 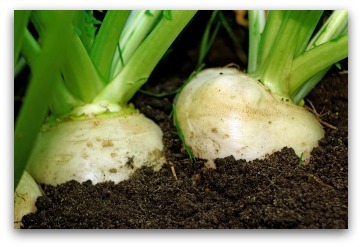 To stay on top with healthy soil, it requires the nutrients be accessible as well as absorb-able.